Unger Brothers American Art Nouveau Bracelet with Garnets. This is an early 20th Century American Art Nouveau bracelet made by Unger Brothers of Newark, NJ (1872-1910/1919). This sterling silver bracelet with gold wash and garnets features relief links of stylized lion heads with garnet eyes. The bracelet measures 7.5 inches long and each link is .75 inches wide. 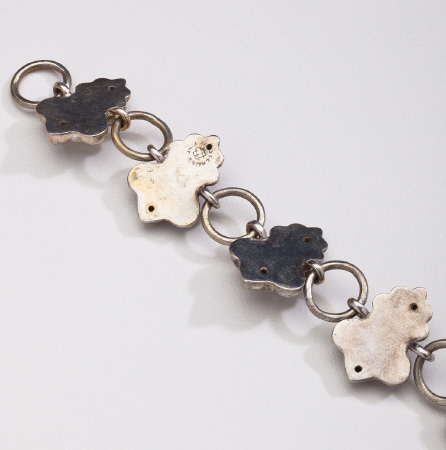 The bracelet bears impressed marks for Unger Brothers, Sterling, 925. 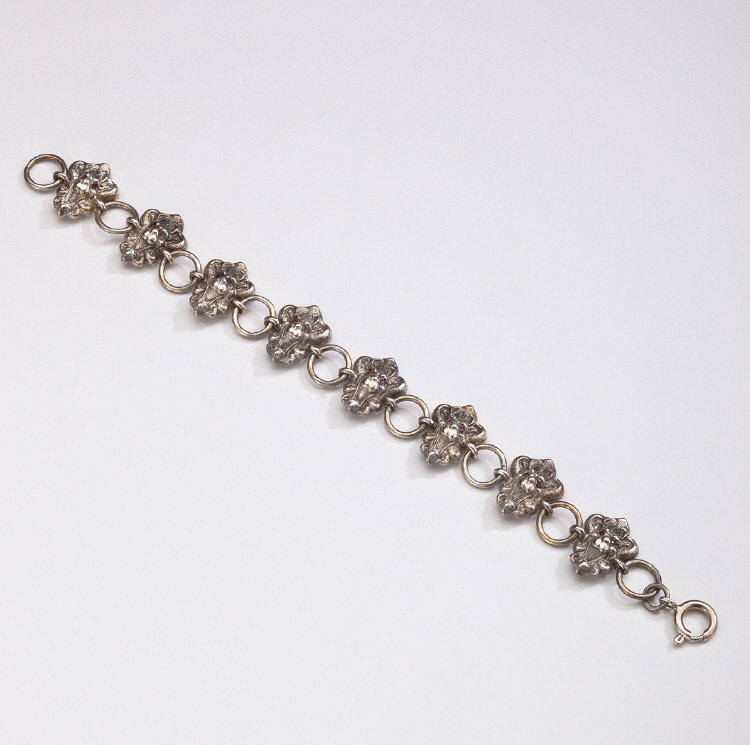 This bracelet is in excellent condition with some silver showing throught the gold wash.